Ten episodes from the hugely popular TV drama anthology series that ran on UK screens from 1956 -1974. 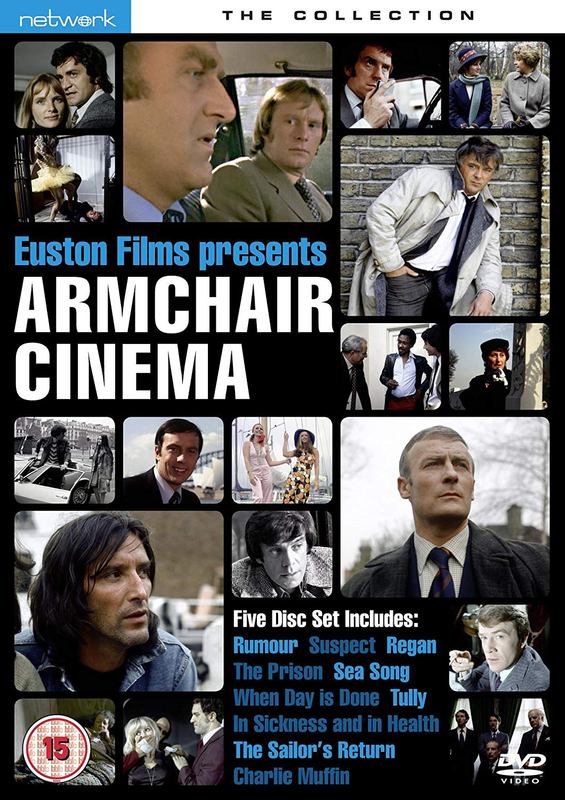 Initially reflecting the clamour for the socially realistic 'kitchen sink' dramas that had revolutionised British theatre in the wake of John Osborne's Look Back In Anger, Armchair Cinema quickly established itself as the home of the TV drama. Over its 18-year run, it became a training ground for a plethora of Britain's top writers and directors, giving rise to hit series such as 'Callan' and 'The Sweeney'. Episodes comprise: Rumour, Suspect, Regan, The Prison, Sea Song, When Day Is Done, Tully, In Sickness and in Health, The Sailor's Return and Charlie Muffin.